We’re sure Vazquez will run a spirited campaign on the issues, but for her the real fight looms next year. Long-time Democratic activist and District Leader Martha Flores Vazquez is once again making news. Vasquez, who has successfully defeated the Queens County Democratic Organization and powerful political figures to maintain her district leadership, is now seeking an uphill fight in a city council race against powerful incumbent Peter Koo. Those who know Vasquez as a savvy political operative and good government advocate know that she has little to no chance of defeating Peter Koo but Vazquez felt that all elected officials should have an election in November especially when it comes to electing candidates to a 4-year term. Sources close to the Queens Democratic Party say Vazquez is crazy like a fox. While she knows her chances at victory are slim, Vazquez is keeping her name recognition high and campaigning to take a second bite at the apple for state assembly while maintaining her district leadership post. 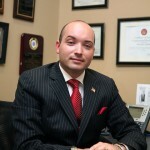 Vazquez will be running on the Independent Jobs and Education ballot, line D in the general election. Bankrolling the Republican opponent of a beloved democratic councilman will not bode well with primary voters. He sent money to bankroll Peter Koo’s opponent! Running in a Democratic Primary for the 19th Council District, lobbyist Paul Graziano made a hefty financial contribution to a GOP candidate for city council, Sunny Hahn. Graziano’s $175 contribution to Hahn will be matched 6 to 1 by the city’s matching funds program and will be used to fund campaign related initatives to unseat Democrat Peter Koo, who is running for reelection. Bankrolling the opponent of a beloved democratic councilman will not bode well with primary voters. 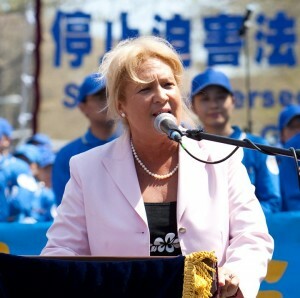 Hahn, who has flirted with running for office several times in the past few years, including a bid for State Senate against State Sen. Toby Stavisky (where she was passed over for the GOP endorsement which went to JD Kim), has already started bashing Peter Koo calling him clueless and accusing him of being in the pocket of developers at a recent meeting hosted by the Queens Village Republican Club. John Messer speaks up for Peter Koo’s noble endeavor. 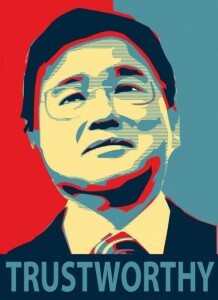 Earlier this afternoon Councilman Koo came under heavy fire from Japanese citizens that need a history lesson. Messer, who is running for New York’s 16th senate district, announced his advocacy for Councilman Peter Koo’s memorial in Flushing to the “Comfort Women” of World War II, according to an official statement. But the angry callers are wrong and don’t have their facts straight. 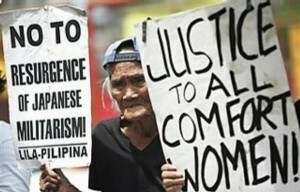 ‘Comfort Women’ (also known as ianfu, a term coined by Imperialist Japan) were kidnapped by the Japanese military during World War II. 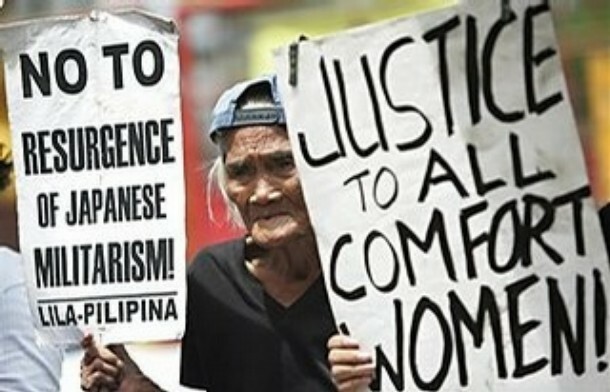 These women suffered what can only be described as a horrific wartime atrocity: they were enslaved – sometimes as children – at ‘comfort stations,’ where they were raped and brutalized by the occupying Japanese military sometimes for years. Peter Koo should turn a deaf ear to these vapid complaints because his initiative is a righteous endeavor to honor history. We should never forget what has happened here. And Peter, don’t worry looks like your next State Senator has your back. Queens politicians are being urged to investigate the mysterious events surrounding the tragic passing of Flushing resident Michael Lin. A Facebook event was created to raise awareness while urging a comprehensive investigation into the details surrounding the tragedy. If you have any information please contact the authorities or Crime Stoppers 1-800-222-TIPS. We need to take this further. We can’t just accept for the NYPD to tell us that his autopsy is “inconclusive”, the videos are too “blurry” to see anything and that he just fell down the stairs and died (WITH NOBODY SEEING THIS). There are witnesses that saw bouncers with him at the club bleeding and they possibly tossed him out onto the streets which may have CAUSED HIM TO BLEED MORE and DIE. We need to BOMBARD the officials because WE DO NOT BELIEVE HE JUST FELL AND STUMBLE OUT OF THE CLUB AND DIED IN K-TOWN’S SIDEWALK. DIFFERENT NEWS FROM DIFFERENT ARTICLES…WHO TO BELIEVE? WE WANT THE TRUTH!!!!!!!!! KEEP CALLING..CALL AT LEAST A WEEK, EVERYDAY, and MANY TIMES. IF THE LINE IS BUSY, PLEASE KEEP CALLING. John Liu is running for Mayor and Grace Meng is running for Congress. If they help us with this, they will gain our VOTES. IF NOT, they will lose ALL of our votes in this community. Three cheers for Koo as he steps up to the plate to address Murdoch’s media mayhem. Colin Cambell Politicker: Councilman Peter Koo, who recently switched parties to the Democratic Party, said the media’s treatment of New York City Comptroller John Liu has been biased and wrong in a recent interview with Roberto Perez. Last year, an FBI sting against one of Mr. Liu’s campaign bundlerscaused Mr. Liu’s mayoral ambitions to take a significant hit. “I never quite understood why he was a Republican - he’s always such a nice guy, he likes people, he likes the immigrant community,” Assemblyman Rory Lancman joked. 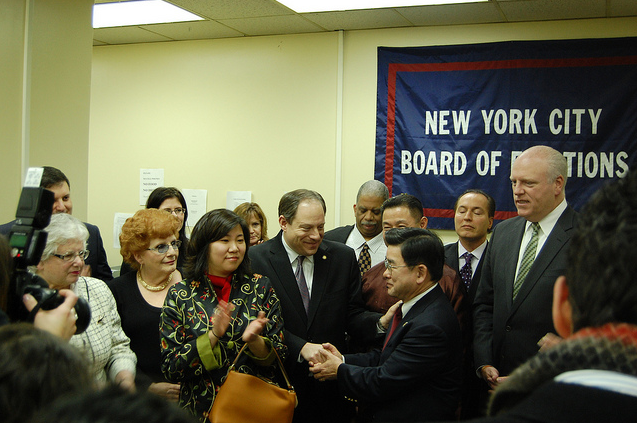 Pols rejoice as Peter Koo formally switches from Republican to Democrat, last Monday morning at the Queens Board of Elections. Crowley sent a chopper to pick me up, Ragusa sent a Ford. What did you think I was going to do? Councilman Peter Koo (R-Flushing) announced he will be switching parties, according to the New York Times. It’s not as shocking as one might think. In a heavily Democratic district, one can only wonder what was offered to him behind the scenes. Who courted Mr. Koo, a millionaire pharmacist from Flushing? 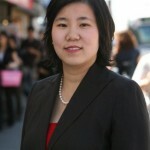 In 2009, Koo ran against Yen Chou, a Democrat who owns a daycare facility. The primary was vicious, and Koo emerged the victor after the Dems tore each other apart. Many insiders considered it a fluke. The switch could have been totally unexpected, and the Queens County GOP may not have known it was coming. But it still hasn’t officially happened yet. 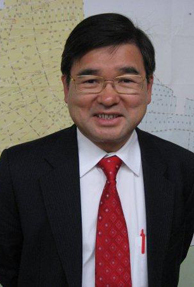 Rumors of a gerrymandered ‘Asian Majority’ district for a Senate seat could have motivated him. Is it a numbers game? Is Mr. Koo questioning the worth of being a Republican? The area is heavily Democratic and Koo could have feared a well-funded and supported Democratic challenger for Council or for the Senate seat, should he decide to run. Koo, long considered a centrist has taken many positions favorable to Democratic kingpins like Christine Quinn that could ease the transition. Is he angry with the local GOP party for a lack of support and constant infighting? Keep in mind Koo is a millionaire and can self-finance his own run. After all he was originally registered as a Democrat. 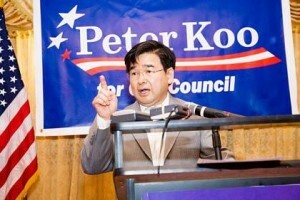 Just speculating, if Mark Weprin becomes speaker, Koo could be Finance chair, that’s if he’s a Democrat. If he’s a Republican, then he might be on the lowly housing committee (Republicans cannot chair committees). Being a successful small businessman might help Koo ease through the transition. FYI, during Mr. Koo’s run for City Council in 2009, Dennis Gallagher worked on his campaign setting up stanchions that were emblazoned with ‘property of Mike Riccatto’ in downtown Flushing. 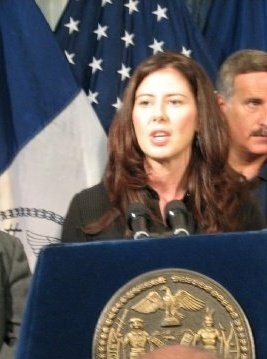 City Council Member Liz Crowley (D-Middle Village) has come under fire for co-sponsoring a bill that will cut funding for a program that turns the NYC DOC into a flock of stool pigeons for the Federal Government. City Councilwoman Liz Crowley (D-Middle Village) has co-sponsored legislation to stop the Department of Corrections from snitching on immigrant detainees to the Feds. Old enemies are up in arms. The bill, Intro 656 will stop funding from the City that supports Immigration and Customs Enforcement (ICE) efforts to detain immigrants who have been cleared of their crimes and have no previous criminal background, according to a report in the Times Ledger. If a person sent to Rikers is found to be an illegal immigrant, the city squeals to ICE under an agreement called the Criminal Alien Program. If you are not a criminal, they still squeal, and you will sit in a jail cell awaiting deportation. Intro 656 will cut the city’s funding for the program that has turned Rikers Island into an unorthodox Customs detention center. These people are not a national security threat. 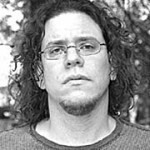 In a City long known to protect the immigrant community and in a heavily Democratic City Council, I doubt the theatrics of a jingoist civic prez who takes on the air of a klansperson and a few Council Members, one known to support Liz Crowley’s formal rival, Tom Ognibene will have any effect, if at all on the outcome. As of Wednesday, Nov. 3rd, it didn’t. The Bill was approved by the Council 43:5 and now sits on the Mayors desk awaiting his signature. Chairman of Public Safety, Councilman Peter Vallone (D-Astoria) raised an interesting point in opposition to Intro 656. He is the only opponent to use legal reasoning rather than an appeal to notions of xenophobia. “The City Council is ignoring federal law and claiming that people illegally in this country who are arrested for a crime are somehow required to already have been convicted of yet another crime before we even cooperate with federal authorities. As a former prosecutor, I can tell you that many dangerous criminals who have recently snuck into our country have no criminal record. This policy will only succeed in making our streets more dangerous,” said Vallone in a report appearing in the Forum. On the national level the proposed legislation appears to be in sync with White House policy and with immigration officials who said they will exercise “prosecutorial discretion.” This means authorities will evaluate charges on a case-by-case basis to concentrate enforcement efforts on criminal cases and people who have flagrantly violated immigration laws, according to a report in the New York Times. Despite a sprinkle of opposition, Intro 656, was supported by a majority of Council Members including Daniel Dromm (D-Jackson Heights), Karen Koslowitz (D-Forest Hills), Ruben Wills (D-Richmond Hills), Speaker Christine Quinn (D-Chelsea), and 36 other Council Members. Even Peter Koo (R-Flushing) and Dan Halloran (R-Whitestone) voted in the affirmative. 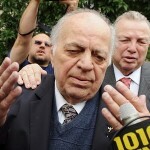 Vincent Ignizio, Vincent Gentile, James Oddo, Peter Vallone, and Eric Ulrich voted NO. “We need to stop needlessly and excessively deporting people who have had no prior criminal records, said Speaker Quinn. “Since our bill was introduced we’ve had productive discussions with the Bloomberg administration. We are pleased that they’ve agreed to support our legislation that will reduce unjust deportations. This is an important victory for all New Yorkers particularly our City’s immigrant community,” said Quinn. Write to the Mayor. Tell him you support this bill. 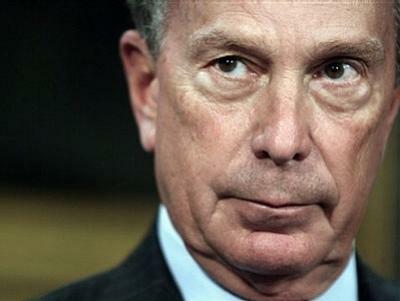 Mike Bloomberg snubs local elects at a Town Hall Meeting. Toby Stavisky is angry over having to crash the party. Mayor thinks LIE is too bumpy, sick of paying outrageous Midtown Tunnel toll. Mayor Bloomberg visits Flushing for a Town Hall Meeting but neglected to invite local elects. When the Mayor climbs down from his Ivory Tower it is customary in politics to inform the local elects. Not doing so is bad form, considered a snub even. Anyway it happened. Members of the Korean American Community Foundation organized the event which was billed as a ‘Town Hall Meeting,’ minus the people elected to represent us. There is some confusion about who hosted the event. Was it the Korean American Community Foundation, as reported by the Times Ledger or was it the Korean American Charity Foundation as reported by City Hall News? Could be a typo. I suppose the organization, KACF is to bear some of the blame for not sending an email out, as the Mayor’s response implied, however The Times Ledger was there and so was Republican Operative, and former City Council Candidate Kevin Kim. Heard Around Town by City Hall News broke the story, but did not specifically disclose who exactly expressed their dismay over the late invite. Heard Around Town: Several elected officials in Queens are incensed at Mayor Michael Bloomberg over his failure to invite them to a large town hall meeting last Wednesday at the Flushing Library. Assemblywoman Grace Meng, State Sen. Toby Stavisky, Councilman Peter Koo and Councilman Dan Halloran caught wind of the event and crashed it, but then had difficulty finding seats since the first two rows were reserved for members of the Bloomberg administration. “It’s definitely not the normal custom,” said one elected official, of the failure to invite the local lawmakers. They also complained that no one outside the Korean community was invited to the mayor’s appearance in the neighborhood, which in the past have been somewhat infrequent. In an email, a Bloomberg community affairs representative told the officials that Korean American Charities Foundation were responsible for planning the event — and that other ethnic groups would have their own events as well. “They’re going to have to do 137 of these this year if they’re going to hit every ethnic group in Flushing,” quipped another person upset by the perceived snub. A spokesman for the mayor did not return a request for comment. Mayor Michael Bloomberg to Health Department inspectors: lay off the kimchee. In a town hall held at the Queens Library’s main branch at 41-17 Main Street in Flushing Wednesday, a member of the Korean American Community Foundation, which hosted the event, said many Korean restaurants are written up for violations because kimchee, a traditional Korean food, must be stored at room temperature. Kimchee is a popular side dish made with fermented vegetables such as cabbage and radish.